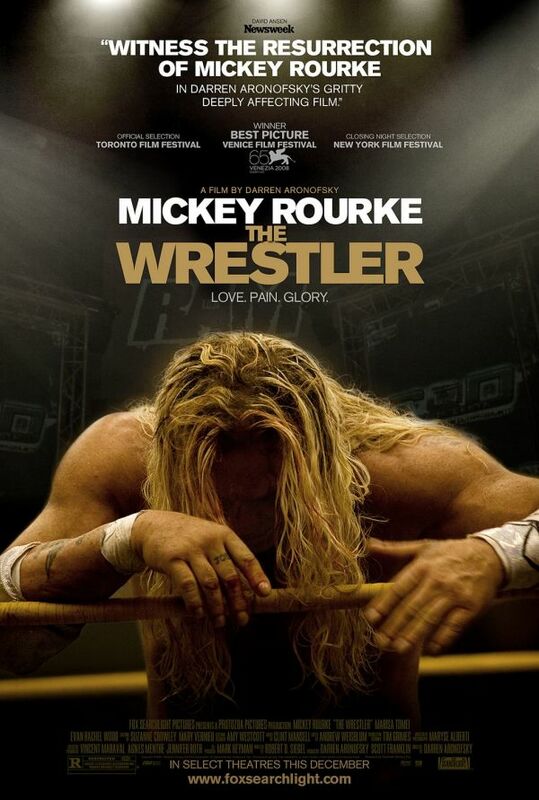 Former pro wrestler Randy “The Ram” Robinson (Mickey Rourke) gets a shot at recapturing his 1980s glory days. The timing couldn’t be worse. His estranged daughter (Evan Rachel Wood) is reaching out and he’s getting closer to his crush (Marisa Tomei), a stripper with her own problems. It’s an excruciating dilemma: Should The Ram revel in the intoxicating past or work to improve a dismal present? Rourke looks the part with his craggy façade and stringy hair, and he brings to life every facet of The Ram’s pain without resorting to theatrics in this achingly human performance. Tomei and Wood flesh out their characters to show the small progress in The Ram’s stagnant, self-destructive life. Director Darren Aronofsky (Requiem for a Dream) lets the details tell the story—duct tape on The Ram’s jacket, Wood clutching his arm, Tomei’s last look before he faces his fate—to create a portrait of a different (but relatable) midlife crisis. ← Where’s the Fire (Extinguisher)?